These standing stones are pre-Atlantean, and were put together to assist the stabilization of energy on the planet after the first 12 pyramids were constructed on earth. These are very, very early sacred places. Often the stones are aligned astrologically to bring in the energies of different star systems. Since we started in Peru, we have been stabilizing and clearing various energy points and reactivating them, so the memories of the Ancient Ones can spread out across the planet. Today is 11-11. We will link in with these cosmic number energies. As we link in with them, the keeper of this vortex and the others are welcoming us, and asking us to do some activity on the hills also. First, we simultaneously close all of them. Open this particular one first and re-establish its integrity. Open and activate. The others remain closed. Expand our antekaranas as big as your shoulders. Collectively connect them through galactic center and the sun and cosmic heart. 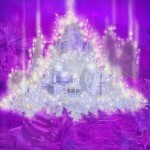 Now, the request is each one requests a grounding of the 11-11 energies through their antekarana. Ground the root and earthstar. Open. 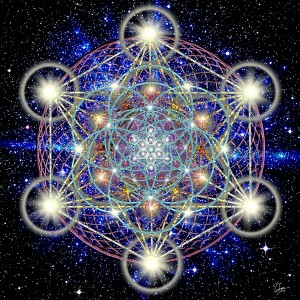 11-11 energies, grounding now through each one into this one open vortex. As it flows into this open vortex, 11-11 energies mixed with the other energies from our antekaranas wake up the cosmic sacred geometry within the vortex. Activate, activate, activate. Open the energy lines to the other sacred sites around this area and more than you can see on the hills. We request assistance in this from an activation team. It’s a little more than we can do ourselves. We call on the star brothers and sisters aligned with the divinity of light, the ones that originally assisted us in constructing these sacred places and advising us where to construct them. They are the ones that give us the original information. This information pertains to the consciousness of humanity in emergence from the Lemurian period. We release the original information in this vortex, and simultaneously it goes out and has trigger codes which activate the other fragments of the information in the other vortexes in sacred places. Activate, activate, activate. There is a very central point of this particular complex, the ones on the hills, and at this time it has been consumed by water. Although I thought this would be the main one, actually it isn’t, and the information I am given is that this is the middle of the water in front of us and behind others sitting in this circle. I’m not talking about Lake Titicaca, but the shallow water very close to us. We are being asked to continue holding the energy here for some time. At the same time, you could ask that any information relevant to you coded in this vortex is transmitted to you, and that you are open to receive it. We activate it more, activate, activate, activate. We join energetically and move over the water, connecting, and we move instantly over there. As we hover in this sacred geometric form, the star brothers and sisters will give us the information necessary through our geometric form. So it is a collective activity. I activate, activate, activate. I AM THAT I AM. Remember, these activations aren’t only for the earth, the people, and you, because All Is One. Again, it’s like we did this morning, request the activation for yourself to wake up the remembrance of the true spark of consciousness that dwells within you. Remember, you are a spark of the Creator, living in this human form. You are not here to be punished or suffer. Your purpose of being is to allow this shining spark of Source to radiate from you upon this earth, and then out into your universe. The flow comes to you between our cosmic sacred geometry and the sacred geometry from the point in the water, activating more and more of your own geometry and memory, your own oneness. Again, you are reminded All Is One and One Is All, even the beings that went before you and those that will come after you. All are one. The ancestors/Ancient Ones are asking us to allow their passage through our energy channel and pillar of light. If you are prepared to assist, affirm, “I am prepared to assist.” I ask them now to move into the correct place in time and space when they are ready. I ask those that are ready to move into another place in time and space, “Are you ready?” The answer from many is, of course, “Yes, yes, yes”. Please stay connected through your hearts. Go, go, go, if that is what you would wish. Now, we will sit for a few moments to allow the passage. You see the wind comes to assist the movement. So, I call upon the wind again as gentle or as hard as you wish to assist in facilitating. Now there is less confusion in the etherics, and it’s easier for all the energies to reflect from the cosmos into the points. We are going to bring our collective light back into this circle where we sit. The keeper is asking for a further activation, and it’s obvious where the center vortex is in this circle. So this is going to be 2-way. First, a stream of energy from the star brothers and sisters into the vortex in the center. And you have been asked as an individual whether you are open to receive. If you are, say: “Yes, I am open to receive”. I activate it, activate it, activate it. The last part of their activation is, we remind you, All Is One before and after us. The keepers and original priests and priestesses of this Lemurian temple now invite you to allow an open radiation of this cosmic love back to all within your genetic lines, your families, the lines of beings in your towns, villages, countries, etc., so the Lemurian information may touch them so their consciousness may be changed, if that is what they are open to. See, feel, allow, imagine this pure consciousness flowing through your heart, touching all who would be open to be touched. Do this with no desire or preconceived idea. Now for the last part, you have been asked to extend forgiveness to the beings that destroyed the ancient cultures and took the lives of many in the belief killing would make them strong and God would be happy. This forgiveness will flow into the collective consciousness and assist others in this energy of forgiveness. Understand the Creator of the human race and Source Creator of all things do not ask for sacrifice of any sentient being, and do not give power to this sacrifice. The only energies linked through sacrifice are unbalanced dark energies of fear, not divinity and the strength of pure love without conditions. Let us radiate this forgiveness now. You are being thanked by many. So any time you wish, you may extend your consciousness outwards and just be easy with yourself.